Ice cream is one of the world’s most favorite treats. Have you seen the face of a child that accidentally drops their ice-cream? It usually ends in crying and a temper tantrum. Just like a child that loses their ice cream, manufacturers of the same delicious treat don’t like to lose theirs either. That is why they are using Monnit’s remote monitoring solutions to track cooler and freezer temperatures and to detect if cooler doors are left open. 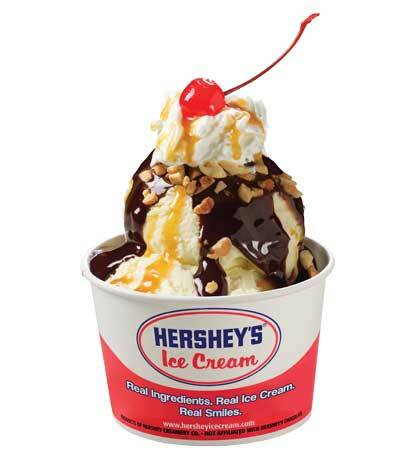 Hershey’s Creamery wanted to update their cold storage temperature tracking and reporting process, which previously used old style tachographical charting (where a pen connected to a physical thermometer scribes a mark on a round chart) to record freezer temperatures. They wanted a reliable and accurate temperature monitoring system that could provide alerts if something was wrong and also relay temperatures back to their headquarters quicker. Their previous process did not provide alerts and took about 3-4 days to manually change out the charts and mail them to their headquarters for review and record keeping. In testing, they found that their existing charts were less accurate in tracking temperatures to Monnit’s wireless temperature sensors which are accurate to within 1-2 degrees. They are currently using Monnit sensors at 5 of their production locations and will push out to an additional 28 locations in the coming months. Since installing Monnit’s solution this year, the system has already helped them at least 2 times, one of which was a refrigerated storage truck cooler failure where the system alerted them, saving ~$10,000 worth of ice cream. SALT LAKE CITY, UTAH – November 2, 2016 – Monnit Corporation (www.monnit.com), today announced it has been recognized by The Technology Headlines as a Top 20 Leading IoT Solutions Provider. Recently The Technology Headlines compiled a list of the 20 leading companies providing IoT solutions that businesses need to know about. “We are honored to be included in this group of great companies, and it is yet another acknowledgment of how the Monnit team is providing relevant solutions for business customers globally,” said Brad Walters, CEO of Monnit. The Technology Headlines is a platform which provides all news about latest technology trends. It empowers the industry leaders and professionals to share their experiences, knowledge and advice with enterprise IT community. They are with the objective of focusing the commitment of leading and fastest growing companies of all the sectors working in technology world. It gives a platform to all decision makers in the industry to wave around their unbeatable style of doing work and the way of delivering effective and collaborative solutions. The Technology Headlines also aims to create a stage which can invite the leaders and experts to share their thoughts, experiences, skills and visions which will help the young leaders to grow the industry further with their skills and drive business efficiency.